Luggage tag printed with 'You Can Fly!" 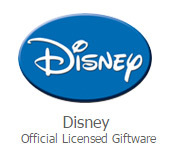 Official Disney product. Cute and good quality.